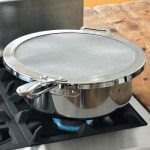 You are here: Home / Fat-Fit / Health Product Reviews / Why during fasting seeds and roots are consumed? Fasting is abstinence. 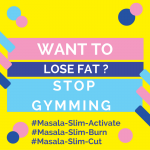 Abstaining from alcohol, nonveg and certain food increases one’s will power and concentration. Proper fasting helps in cleansing the toxins that build up in the body. If you have been fasting regularly or occasionally you must be eating a lot of yummy food to break the fast. So I fasted after 20 years for this Maha Shivratri. Since I had so much time from not cooking, I started to Google the various food that can be eaten during fasting and to break the fasts. But before that an incident with my son. Why not wheat, jowar, bajra, rice, garlic, ginger? Nonveg I got it should not be eaten. Cow’s Milk we all know is the easiest source of instant energy and protein. 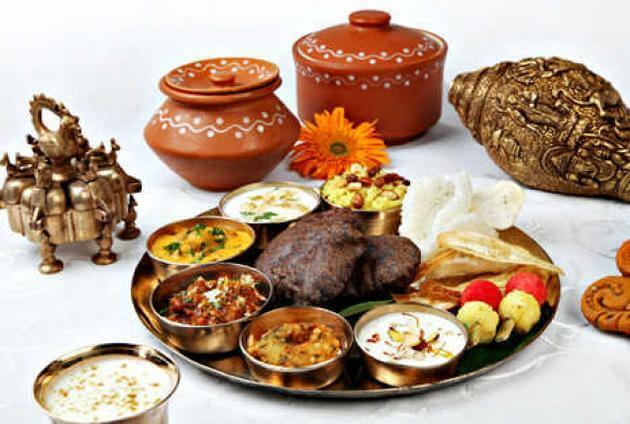 All items made of milk like curds, paneer, sweets are favorites in fasting meals. Fruits are ready source of carbohydrates, minerals and vitamins and very easy to digest. 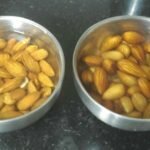 Dry Fruits are to be taken in small quantity which slowly but easily digests to give energy which is from the carbohydrate, sugar and protein. Vegetables like cauliflower, cucumber, tomatoes, pumpkin are used quite commonly in fasting meal. Makhana is fox nut is also a seed of a water plant called prickly water lily or gorgon which is not Lotus. It is the only food among all the food for fasting, that is not just high in carbohydrates but also in protein. It can be cooked in salty and sweet dishes for both snack and meals. 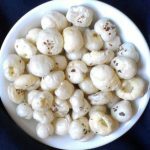 I am in love with makhana as its the quickest and easiest snack I can cook for my sons which is healthy too. 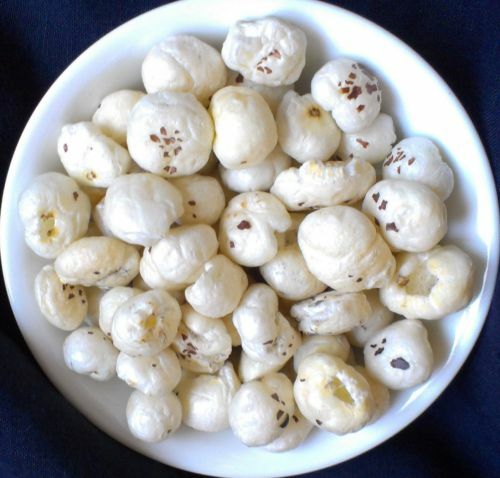 Read: Why is Makhana a wonder snack food? Sabudana or Sago is made from the starch of Tapioca Roots. The root or tuber is chopped and fermented into open pits which attract several insects. Water is added into the open pit which gives birth to many white color nali ke keede! The pit has bright street light focussing at night which invite hundreds of insects that attain moksha in this starch paste. All these including insects are churned into a paste which is then sieved through a mesh to get tiny balls of Sabu dana. These are dried in open fields. If you are living near villages of South India where these are made by hand, you know your fasting is seriously not vegetarian or hygienic. Searching on Youtube, you will all videos on How Sabudana is made from SE Asian countries. The lone video from India Sabudana making process is now deleted. But, if you are buying Sabudana from malls, then probably, you will eat these made from a very different process. 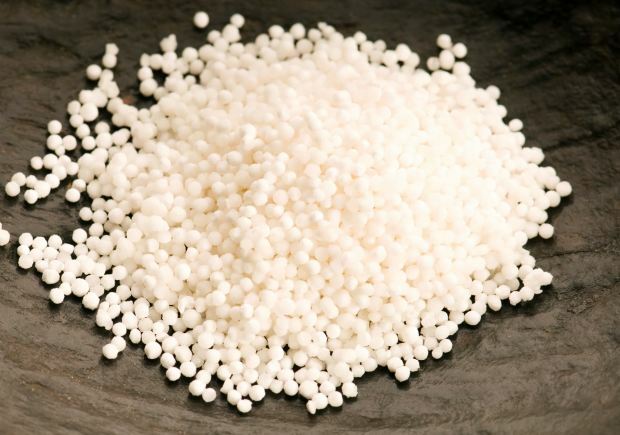 Tapioca is powdered and its starch is treated to make tiny balls. But by the time it reaches your kitchen, it has lost the nutrition due to chemical bleaching and washing of the tapioca paste to get that pure white color. Kuttu or Buckwheat is seed and not a grain and very high in Carbohydrate and highest in Protein. 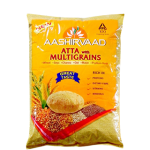 It is one of the most economical seed and its atta makes very tasty pooris. 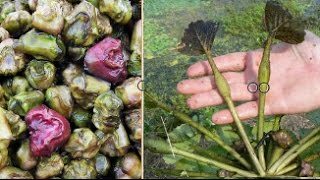 Singhare or water chestnut is a fruit grown underwater that has a fair amount of carbohydrate which is a great way to eat a variety of carbohydrate. It is dried and powdered to make atta. Poories are made out of Singhare ka atta. Singhara can also be chopped into pieces and seasoned with mustard seeds and curry leaves. 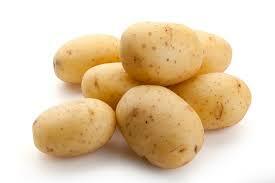 Aloo or Potato full of carbohydrate is a root that is grown under the earth and we all know it. It has a load of carbohydrate and minerals that are needed to break the fast. It is the most common yet most tasty fast-breaking food. I love when my mom makes the fasting aaloos with roasted peanuts and boiled potatoes garnished with green corianders leaves. 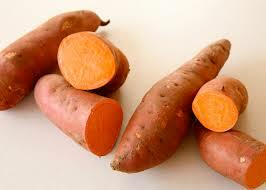 Sweet Potato is also excellent as it is a tuber or root and it has carbohydrate and vitamins. It provides a sweeter version of carbohydrates and is used to make Halwa. It is very tasty when smoked in charcoal. 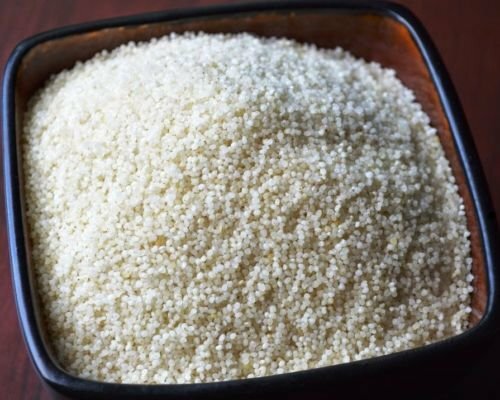 Samwat Rice is actually a seed not a grain and hence included as Fasting food. Since it is a seed, it has all the properties of seeds mentioned below. Ramdana or Rajgira is also a seed of Amranth. It’s gluten free, low on glycemic load, enriched with antioxidants and essential vitamins and minerals. You can make atta of Ramdana to make pooris or roties. 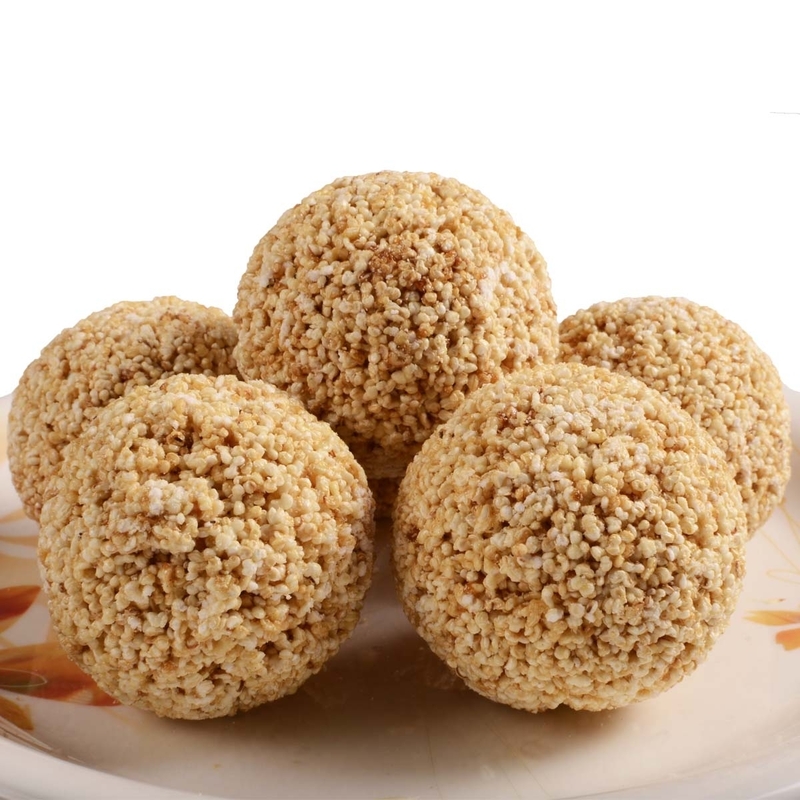 But I love laddoos made of puffed Ramdana and jaggery. Remember, if there any food that has larger than life nutritional values they will be named after Indian Gods/ Goddesses. Ram-dana, now you get its value! 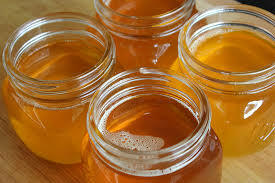 Ghee is an intrinsic part of fasting food. Ghee is a very small yet big dose of good fat which our ancestors knew about since Vedic days. Our ancestors knew what food had the highest amount of Carbohydrate that can be very quickly converted into Glucose that the body requires after fasting for more than 8 hours. The human body’s key source of energy, through aerobic respiration, providing about 3.75 Kcal of Energy per gram of Glucose. Why roots? Roots are full of starch. Starch is the easiest food that is digested into glucose. And we all know glucose is the stored into muscle cells as glycogen. When we move our body, this stored glucose uses oxygen and provides energy. Why Seeds and Ghee? 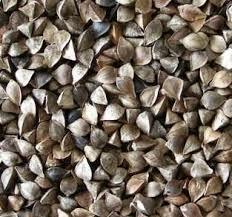 Seeds are a very rich pack of Magnesium to help store energy in muscles, Zinc for immunity, Omega 3 for brain functions, improves insulin regulation, increases good HDL cholesterol, antioxidants, tryptophans that help in sleeping soundly, anti-inflammatory properties of these two super foods. Seeds that are used as flour to make pooris and rotis are gluten-free at the same time is extremely nutritious. It is enriched with fiber, protein, Vitamin B, magnesium, and phosphorus. Why milk and milk products? 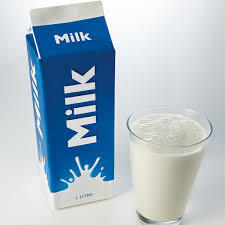 Milk is a complete food in itself as it has carbohydrate, protein, and fat with ample mineral and vitamins. Milk products like curds is also eaten to give loads of protein and carbohydrates. 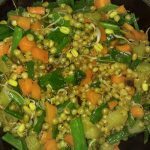 Why grains and pulses are avoided during fasting? Grains and pulses/ daal, slow down the digestion process, especially wheat. And since fasting is to give rest to the digestive system, why eat anything that will overload the system.